UNIVERSAL Robina Corporation (URC), one of the country’s leading food companies, poured over P1 billion worth of investment in Davao City as it inaugurated on Thursday, March 21, its expanded flour mill plant in Km. 10, Sasa, Davao City. With the expansion, the milling plant increased its capacity from 600 metric tons to 900 metric tons flour per day. 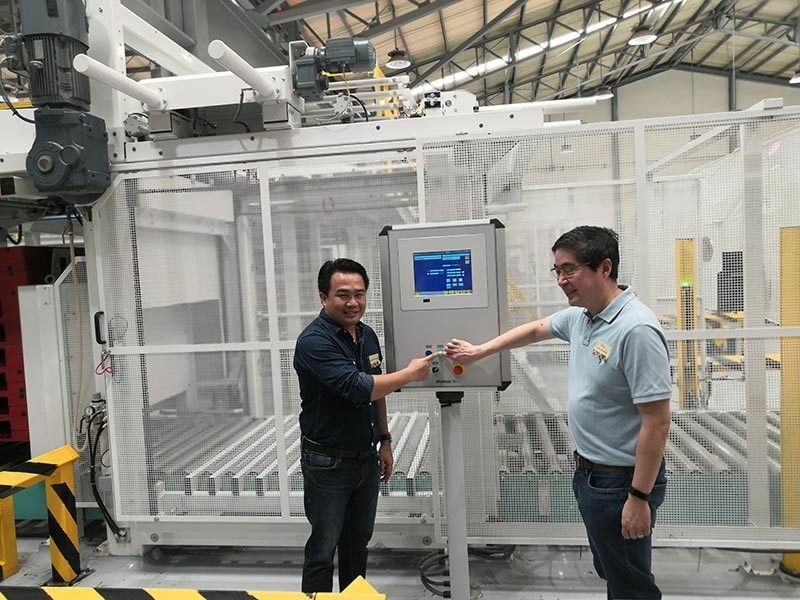 “The Davao URC flour mill expansion project is a strategic move for the company to help support growth in the area and export business for Southeast Asia,” JG Summit Holdings’ CEO Lance Gokongwei said. The URC is a subsidiary of JG Summit Holdings, a Filipino conglomerate. The Davao flour mill is the lone plant in Southern Mindanao and the second URC flour plant in the Philippines, next to the company’s plant in Pasig, Metro Manila. With the expanded capacity in Davao, the total milling capacity of URC reached 2,150 metric tons daily. The now 1.34-hectare Davao flour mill started in 1993 and went on commercial operations a year after. URC Sales, Marketing, and Distribution director Naida Ebora told reporters that the expansion was brought about by the growing demand of the baking industry. “We expanded here because we had our second plant here. We build another line for expansion because we are growing fast in any regions in Mindanao. This will support the natural market of URC in Mindanao and an opportunity for us to expand in exports,” she said. Ebora added that with a bigger volume to sell, it will allow them to discover more markets. It’s existing and prospective export markets are Vietnam, Thailand, Indonesia, Myanmar, Hong Kong, Malaysia, New Zealand, and Australia. URC Flour and Pasta Division Manufacturing Director Gerardo Magadia, for his part, said of the total URC plant production, about 10 to 15 percent of which is exported. The new URC flour plant boasts with state-of-the-art equipment designed and supplied by BUHLER using Swiss technology. The new equipment enhances the quality of wheat or flour because of its color sorter (wheat cleaning) and capacity for online testing of moisture, protein, and ash contest with precise monitoring in real time. Compared to old mill, the new mill is fully-automated from wheat intake to bag flour palletizing. Davao City Vice Mayor Bernard Al-ag welcomes this development as it supports the city’s direction of pushing more manufacturing investments here. “We want the manufacturing sector in the city to grow. We know that this can provide jobs and investments in the city,” he said. Magadia said that URC Davao has presently 247 employees and is expected to provide more local job opportunities when the company’s new lines will start commercialization.